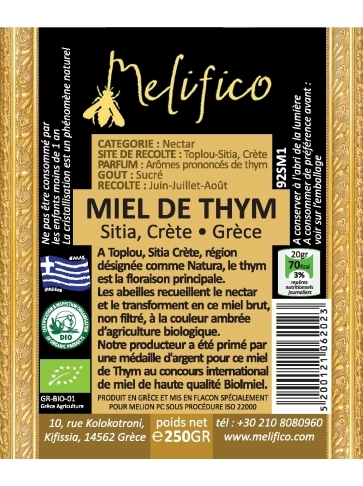 At Toplou, Sitia Crete, designated as Natura region, thyme is the main flowering. 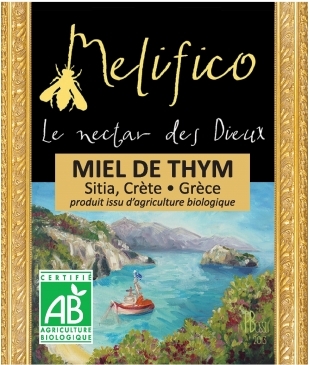 Collected by bees, the nectar is transformed in this raw and unfiltered thyme and wildflowers honey of organic farming. 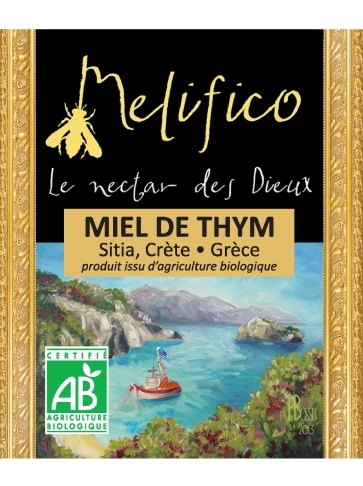 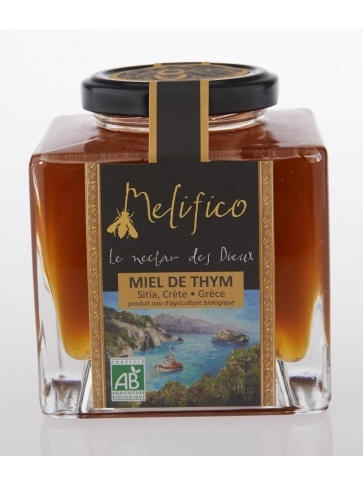 Our producer was awarded a silver medal for the thyme honey in the international competition of high quality honey Biolmiel.